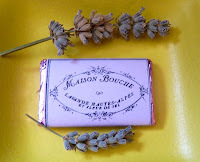 Today was Day #4 of Chocolate and Flower Theme Week. 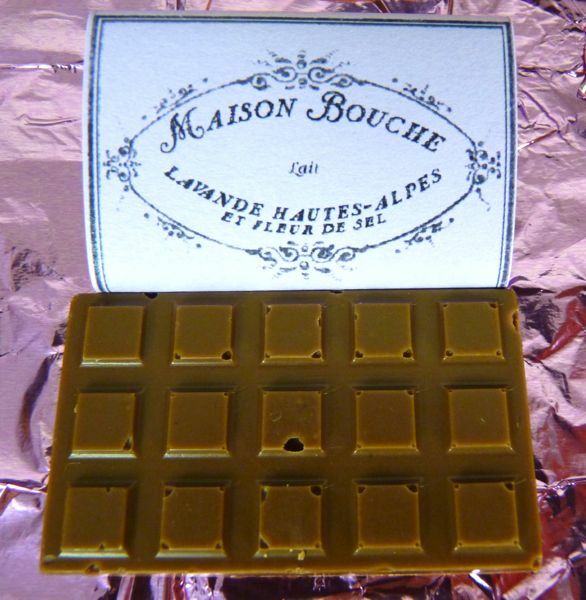 This tiny little Maison Bouche (Oakland, CA) Lavender and sea salt milk chocolate bar, scored into 15 even tinier squares, was a little piece of heaven. 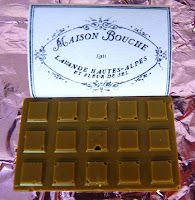 I savored each tiny bite. 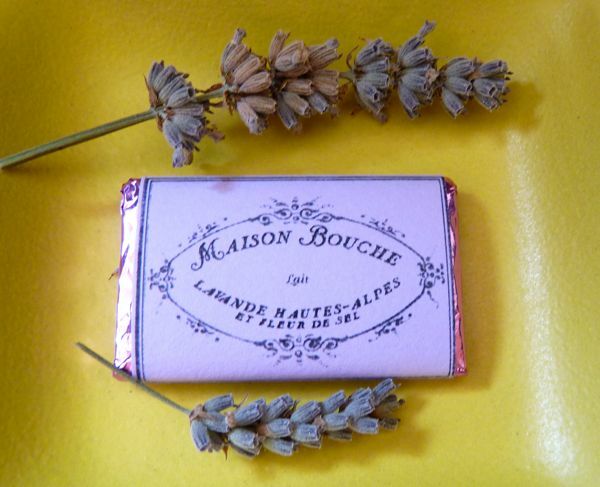 I loved that I could actually taste the lavender.